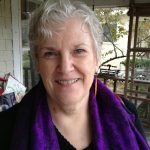 When I first came to Chair Yoga Class for Seniors and for People with a Disability at Metropolitan Multi-Service Center here in Houston, TX, about 8 months ago, I had trepidation that I couldn’t do anything because I had been confined to bed for a long time. It was simple, it was easy! I could adjust the level of my participation and, unlike a traditional yoga class or a gym, no one was correcting me – in fact, I was being praised for doing what I could do! It was hard to get there at 9am and as I realized the advantages I was getting, it became worth it to me to get up earlier and get out of the house. Now, I’m noticing my breath and practicing during the days how Guruatma taught me to relax my belly out on the inhale and pull my belly in on the exhale, expanding and contracting my diaphragm. When you’re fat all your life, you don’t put your belly out for anything – I held it IN!! 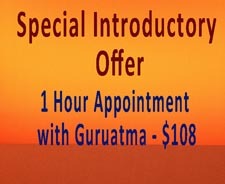 I probably never had a really good breath in my whole life until I came to Chair Yoga Class with Guruatma! When I got out of the Rehab Pool, today, at the Center, this new lady said to me, “What’s wrong with YOU?” (people don’t usually say that). 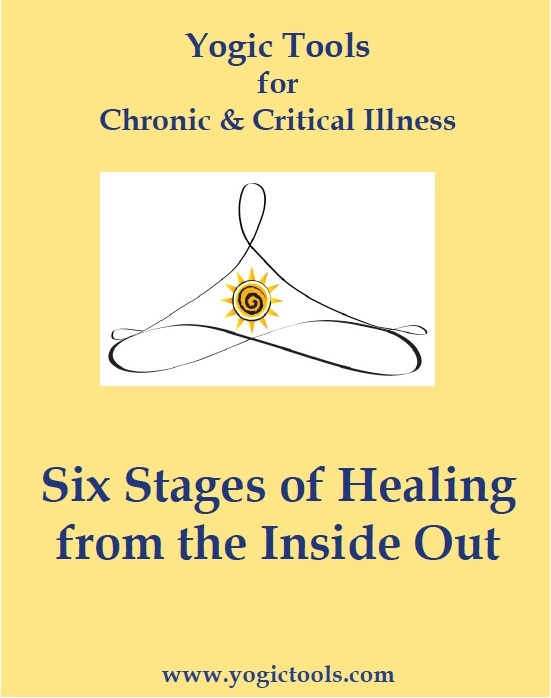 I told her I was diagnosed with Fibromyalgia, Chronic Fatigue and Osteoarthritis because I’m practicing not to say, “I HAVE Fibromyalgia, Chronic Fatigue and Arthritis. I’m realizing that if I say I HAVE IT, then that means I’m claiming it – just like IT HAS ME! Both my yoga teacher, Guruatma K Khalsa, and another lady I go to for Life-Coaching introduced me to that principle. It feels hopeful to say it that way, like I have freedom from the illness. I’m currently following the Alletess Food Program (http://foodallergy.com) based on blood testing to identify an individual’s Reactive Foods which cause inflammation in the body. Before I changed my diet, I was taking 2 different pain pills (Norco-Hydrocodone-APAP & Gabapentin) 3/day each, and now, I’ve probably only taken 10 pills in this whole month. I believe that, along with the other things I am doing to regain my health, Chair Yoga has been immensely helpful. I would encourage anyone to try it! I really wish it were every week, but so happy I can get there every 1st & 3rd Friday of the month.